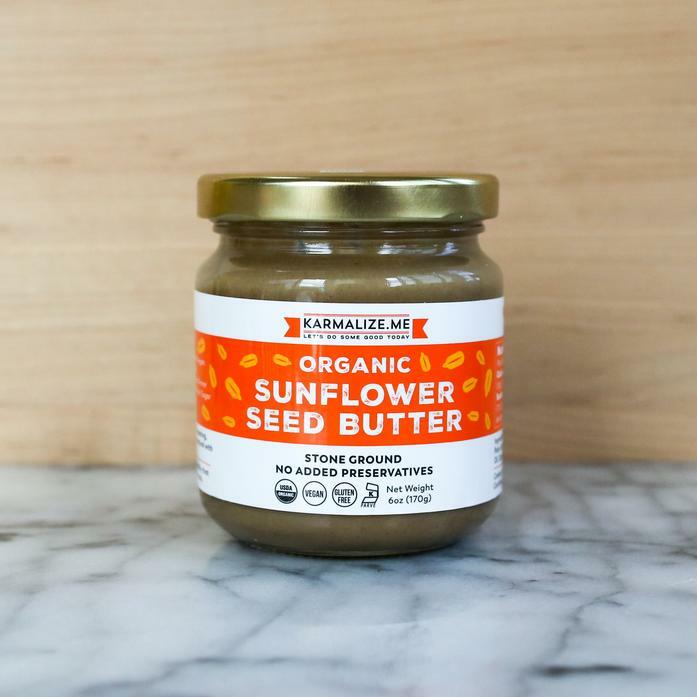 Smooth, creamy, and preservative free, this sunflower seed butter is as rich and decadent as the nut-based varieties. Made from Organic Sunflower Seeds, it’s lightly sweetened with Unrefined Organic Coconut Sugar, smoothened with olive oil and spiced with a pinch of cinnamon and sea salt. Each package contains 1 jar (6 oz) of Sunflower Seed Butter.